In 1918 a boy named Frederick Webb was born into a farming family in Randall, New York, just a few miles South of Fultonville. One of four children, he was a typical active and hard-working farm boy until he developed rheumatic fever at the age of 12. The illness caused him to be bed-ridden and not expected to live. He took medicinal drops of arsenic daily, and was finally able to sit up on his own after six months of treatments. Total recovery took two years, and he missed an entire school year. During this time, doctors also discovered that he had developed a heart murmur from the illness and forbid him from participating in sports. At the age of 14, Webb was sitting on the sidelines watching his friends play baseball and was struck in the face by a foul ball. The errant baseball not only broke his nose, but would also prove to be life altering for Webb. This enraged him and he immediately went home and confronted his Mother about his situation. He told her that if he was going to get hurt watching baseball, that he might as well be playing it. She conceded to his wishes and at the age of 14 Webb took up playing sports, namely baseball. He quickly developed into the ace pitcher for the Fultonville High School baseball team learning from former professional baseball catcher Ben Fasulo. Fasulo had played for the Ogdensburg Colts of the Canadian-American League in 1936. In 1937, Fasulo left professional baseball and used his knowledge of the game to lead the Fultonville High School baseball team, while grooming Webb into a powerful and effective pitcher. As co-captain of the 1938 team, Webb led Fultonville to their very first Tri-County League Championship. Webb graduated from Fultonville High School in 1938 at the age of 18 and Fasulo began working on getting him into professional baseball. During the winter of 1939, Fasulo recommended to the Gloversville-Johnstown Glovers Canadian-American League Team (based 10 miles North of Fultonville) that they give Webb a try out. Fasulo was known to the Glovers, having played against them the prior season. Upon him telling them that he felt that Webb could make good for the team, they granted the young Fultonville southpaw a tryout two weeks before the start of the 1940 season. While the Glovers did not sign him, manager Elmer Yoter encouraged Webb about his future in the game, advising him to gain weight to make him a stronger pitcher. Webb was 5′ 11″ tall and weighed only 140 pounds. Fasullo continued his quest to get Webb into professional baseball by reaching out to his former college buddy Ed Sawyer. Sawyer (future Major League manager of the 1950 National League Champion Philadelphia Phillies Whiz Kids) had recently become the manager of the New York Yankee Minor League affiliate Amsterdam Rugmakers (1939 & 1940) just 12 miles to the East of Fultonville. After watching him throw, Sawyer was impressed with Webb’s arm speed. And for five weeks early in the 1939 season, Sawyer assigned Webb to throw batting practice to the Rugmakers New York Yankees prospects, with the promise of eventually getting into a game. Webb got a real game opportunity a few weeks into the assignment when he was brought in to pitch four innings of an annual exhibition game between the Rugmakers and the local semi-professional Amsterdam City All-Stars. Webb gave up four hits over four innings and did not surrender any runs. Although it would only be one game, Webb gained high level experience and became a smarter and more valuable pitcher having been around a group of professional players. After his stint with the Rugmakers, Webb then traveled to Rochester New York’s International League Park for a tryout by Billy Southworth, manager of the Class AA St. Louis Cardinals affiliate Rochester Red Wings. Like Sawyer of the Amsterdam Rugmakers, Southworth was also impressed with Webb’s throwing speed, but concerned about his weight. He told Webb that had he been 15 pounds heavier, he would have signed him. Instead, Southworth offered him an all-expenses paid offer to attend the Red Wings’ training school the following month in August, which Webb planned to do. However, a twist of fate would intervene in the baseball world, giving Webb his big break. About 35 miles to the South of Webb’s home in Randall, the baseball world was celebrating the 100th Anniversary of the game in Cooperstown New York. It was a four-month celebration that included both the opening of the Baseball Hall of Fame and the sports first Induction ceremony taking place on June 12, 1939. One of the celebrations was a baseball game played at Doubleday Field on July 9th in which a representative of each of the 41 professional minor leagues was sent to participate. It was called the Minor League Classic and half of the players made up “The Cartwrights” (in tribute to Alexander Cartwright, a pioneering contributor to the game) and the other half made up the “Doubeldays” (in honor of Abner Doubleday who the 1907 Mills Commission determined had laid out the first scheme for playing baseball 100 years prior in Cooperstown). Due to scheduling issues and the long-trip, the Texas League was unable to furnish a representative for the Minor League game. 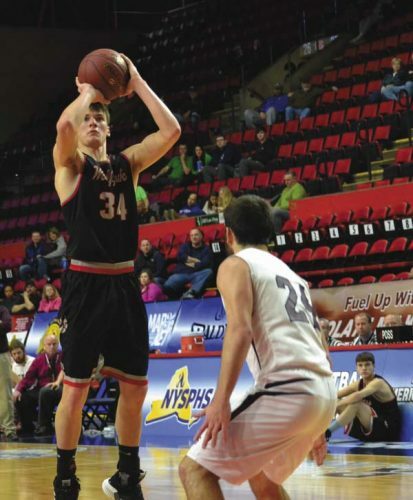 Event organizers reached out to Southworth of the Rochester Club for an extra player from his team. Instead of sending another one of his contract players, Southworth offered the spot to Webb, as well as covering all of his travel expenses to go to Cooperstown to participate. Webb promptly accepted the opportunity and traveled to Cooperstown to be a member of the “Doubledays”. During the exhibition game, 19 year-old Webb was brought in to hold a 1 run lead for the last three innings of the game against a team full of professional players from across the country. Donning a “Texas League Uniform” he gave up just one hit, allowed no runs, struck out three and singled in two runs himself. The “Doubledays” won the game 9-6. This performance earned him an invitation to compete in the tryouts for the All-American Amateur team that was scheduled to represent the United States in the World Series of Amateur Baseball Tournament (International Championships) to be held at Tropical Stadium in Havana Cuba that August. It was a ten-day trial that took place in Cooperstown, with 128 of the best amateur ballplayers from around the United States competing for one of the 14 roster spots on the team. Webb performed well in the trials and was chosen as one of the starting pitchers on the team. As part of the newly formed All-American Team, Webb and the 13 other players traveled by bus from Cooperstown to Miami Florida. Before making the final leg of the trip to Cuba, they played an exhibition game there against the Dade County baseball leagues All-Star team (South Florida Dream Team) in front of 2,500 fans. The next day they boarded a 1934 Pan American Clipper (luxurious 80 passenger plane that was able to take off from land or sea) set for Cuba. 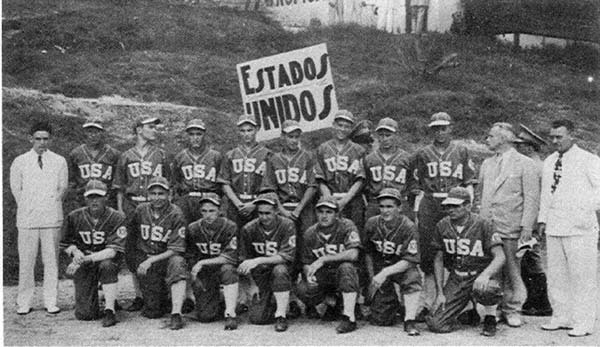 Upon landing in Havana, they became the first amateur baseball team in history to fly to a foreign country for an International series. The United States team did not fare well in the tournament, losing 3 games to Cuba and 3 games to Nicaragua. However, Webb would come the closest to winning one of those games when he pitched a 6-inning gem against Nicaragua. Although the United States lost the game, Webb threw 6 scoreless innings, giving up only 3 hits, and striking out 5 of the 23 batters he faced. After his performance in this tournament professional organizations began lining up to sign him. He was offered a chance to pitch for a team in the Twin State League in New Hampshire and the Canadian-American League. A third offer that really appealed to him was one from Billy Evans of the Boston Red Sox. Evans (the third umpire inducted in to the Cooperstown Baseball Hall of Fame in 1973) was the chief scout and head of the Boston Red Sox farm system at the time, and recommended Webb to Boston’s affiliate in the Class C Canton Ohio Club of the Middle Atlantic League for the 1940 season. Webb was encouraged by Evans to go home to his family farm in Randall New York to “hit the pork barrel” in an effort to gain another 5 or 10 pounds before reporting to Canton the following spring. In April of 1940 Webb traveled to Canton Ohio to work out with the Canton Terriers of the Middle Atlantic League. However, Evans had left the organization and Webb was not sure how much favor he had with his replacement. Once again, Webb’s high school mentor Ben Fasulo would have an impact on his career. Fasulo had returned to professional baseball that spring and signed as a catcher with the Auburn Colts of the Class C Canadian-American League in Auburn New York and urged the Auburn team to give Webb a tryout. The tryout went well and Auburn signed Webb to his first professional contract before the Boston organization could. With Fasulo calling his pitches, Webb appeared in 33 games, throwing 101 innings and compiling a record of 2-7. He also had 7 hits in 42 at bats. And when the Auburn team game to Gloversville to play the Gloversville-Johnstown Glovers at Berkshire Park (area now home to House of Pizza/Runnings Outdoors/Hannaford Grocery Story), there was always a large delegate from Fultonville there to cheer on the “Fultonville Battery of Webb & Fasulo”. And on August 15, 1940, the game in Gloversville was tabbed “Webb Night” and the Fultonville fans presented Webb & Fasullo with jackets. Webb (with Fasulo catching) pitched the entire game that was called after 11 innings with the score at 6-6. A Canadian-American rule did not allow an inning to start after 11:45pm, so the game ended in a tie. While Webb did not burn up the league the that season, he finished strong and expectations for an even better 1941 season were on the horizon. The status of the Auburn franchise was in jeopardy for 1941, so Webb asked for a release and became a free agent. When the Gloversville-Johnstown Glovers learned that he was a free agent, they immediately offered him a contract for the 1941 season. He was the first player to sign with the team that year and excited at the prospect of pitching close to home as a Pittsburgh Pirate prospect. As a relief pitcher that season, he appeared in 10 games and threw 27 innings to compile a record of 1-3. Medically ineligible to serve his country, and with professional baseball shut down for a few years due to the war, Webb spent the next few seasons pitching on local town teams and for both the Gloversville Glovers and Amsterdam Rugmakers in the New York State Semi-Professional League. During this time, he worked for the Denkert Sporting Goods Company in Johnstown selling baseball gloves. In 1944, he married Mathilda Stroud of Johnstown and went to work in the Insurance Industry. 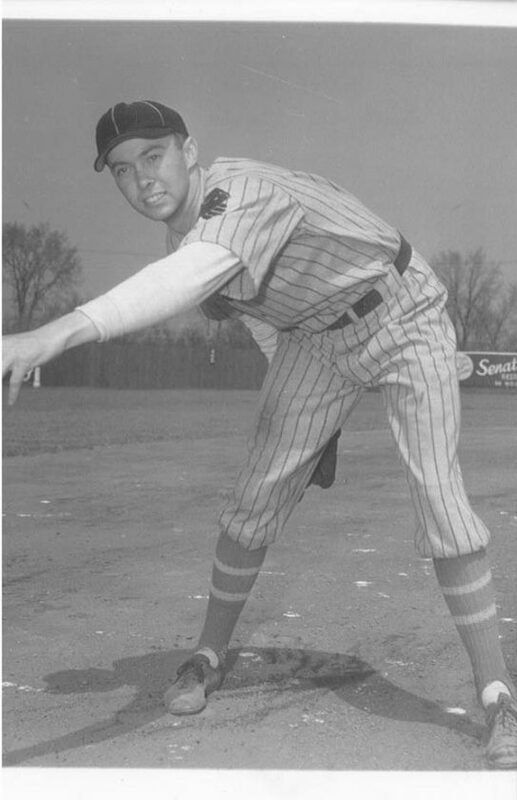 In the late 1940’s when minor league baseball returned after the war, Webb was still known as one of the best-known pitchers in the New York State league, and his pitching prowess garnered another contract offer by the St. Louis Cardinals to play for the Rochester Red Wings of the International League. Having already started a family (Gary, Deanna and Dale), he declined the offer and continued to play in local leagues. Around this same time, he had started his own insurance company (The General Insurance Agency) and would go on to work for 38 years as a local John Hancock insurance agent in the Upstate New York area, retiring in 1981. While bursitis in his pitching ended his days as a pitcher in the late 1940’s, he remained active as an avid Golfer, Bowler and Square Dancer for most of his life. Webb passed away in 2009 at the age of 90. Webb and the rest of the 1939 All-American Baseball Team were honored with a special exhibit and ceremony at the Cooperstown Baseball Hall of Fame in 1989 in celebration of the 50th Anniversary of their historic amateur team that went to Cuba to compete in the Amateur World Championships. Webb has been nominated for induction into Fulton County Baseball and Sports Hall of Fame. His induction ceremony is set for June 22nd as part of the annual Vintage Baseball Game to be played at Parkhurst Field in Gloversville. Webb, along with Johnstown’s Brian Mee will be inducted between innings of the game. The event will be open to the public. For more information about the inductions and event, visit www.parkhurstfield.org . A special thank you to Dee and Shawn Croucher, and Dale Webb for their research assistance in writing this article. Mike Hauser is the founder of the Fulton County Baseball & Sports Hall of Fame in Gloversville. If you have story ideas, old articles/photos or would like to nominate someone for the HOF, he can be reached through the organization’s website at www.fchof.com, email; mhauser@frontiernet.net or call (518) 725-5565.